Often, a patient with an advanced illness and his or her patient advocate or guardian desire to be specific about the type of medical treatment the patient will receive in a medical emergency outside of a hospital setting, at or near the end of life. Although Michigan has authorized a “Do Not Resuscitate” (DNR) form that addresses cardiac life support directives when a person’s heart or breathing stops outside of a hospital, prior to February 6, 2018, Michigan had not authorized by law a form that contains medical orders jointly agreed to by the patient/patient representative (a patient advocate or guardian) and the attending health professional, to control the delivery of medical care to a patient with advanced illness outside a hospital. On February 6, 2018, a series of four statutes (2017 Public Acts 154, 155, 156 and 157) were signed into law in Michigan authorizing such a form, and how it will be implemented. This new form, known as “Physician Orders for Scope of Treatment” (POST) Form directs the type or levels of medical interventions that may or may not be provided to a patient suffering an advanced illness, outside of a hospital setting. The new laws also cover, among other things, when the POST Form must be updated, how it can be revoked, and special requirements that apply to the use of a POST Form by a guardian. The four new Michigan statutes which cover the development and implementation of the standardized POST Form go into effect May 6, 2018. These new laws also require the development of a standardized POST Form and an informational pamphlet regarding POST Forms. Look for updates to this blog in the coming months. 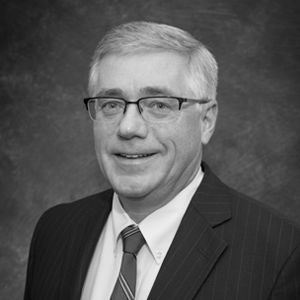 Dan McGlinn represents health care providers and has extensive experience concerning the marketing of medical devices, including compliance with the AdvaMed Code of Ethics. He has written a number of professional articles on healthcare law. He is a member of the American Health Lawyers Association (AHLA) and the State Bar of Michigan Health Law Section. Michigan law firm with attorneys who listen, understand, and deliver.